Warner Bros. has moved up the release of Stephen King's sequel adaptation to The Shining, Doctor Sleep, from January 2020 to November 8th, 2019. The film is directed by The Haunting of Hill House's Mike Flanagan and stars Ewan McGregor, Jacob Tremblay and Rebecca Ferguson. There's not a likely chance that Doctor Sleep's earlier release date will have any effect on its quality since the film has already been in post-production for a few weeks. Doctor Sleep follows Danny Torrance as he tries to move past the horrific events that took place in The Shining. The story features Danny first as a child, then as an adult as he struggles with alcoholism and anger problems, not to mention dealing with his traumatized mother who is slowly recovering from wounds inflicted upon her by Danny's father. Thankfully Danny soon finds a way to utilize his psychic abilities by helping to calm patients who reside in a hospice, and this strange yet effective method of care soon earns him the name "Doctor Sleep." But his new life is suddenly halted when he encounters a young girl who also possesses the shining, and she warns him of evil forces that hunt her. The sequel was not only another big hit with Stephen King fans, but also continued a darkly fascinating tale of supernatural horror. And now that it's going to be hitting the big screen, there's going to be even more to discover. The moved up release of Doctor Sleep looks to be part of a major schedule update for Warner Bros., as they also just announced new dates for Matt Reeves' The Batman and James Gunn's Suicide Squad 2. Doctor Sleep finished principal photography in December of last year, and so there will be plenty of time to finish the film before the new release date comes knocking. But despite the film still being many months away, Stephen King fans can rejoice in knowing that the Pet Sematary remake is hitting theaters on April 5th, followed by the hugely-anticipated It: Chapter 2 on September 6th. CBS also just announced that a new series based on King's massive novel, The Stand, is currently in development. What's comforting about the moved up release for Doctor Sleep is that the first month of the year is usually a time that studios unveil projects they believe are almost sure to fail. And it seems more and more these days that November is becoming a prime spot for many major releases. In November of 2018, alone, there were commercial hits such as Bohemian Rhapsody, Dr. Seuss's The Grinch and Fantastic Beasts: The Crimes of Grindelwald. So this release date change definitely looks like a move in the right direction for all involved. 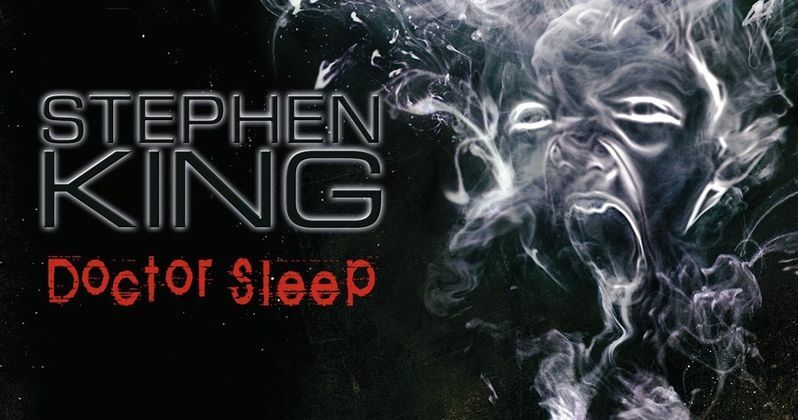 Doctor Sleep could very well turn out to be another massive Stephen King hit. Director Mike Flanagan proved himself with Netflix's The Haunting of Hill House, as well as indie horror films like Hush, Oculus and coincidentally another Stephen King adaptation, Gerald's Game. So the film is in good hands, and Flanagan's impressive talent will surely be complemented by his A-list cast. Doctor Sleep is set to hit theaters on November 8th, 2019. This news comes from Deadline.